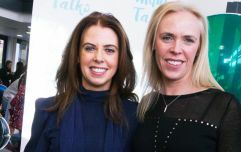 Like with all the best lightbulb moments, the idea for Siobhán Stack business venture was also sparked out of personal experience. When heavily pregnant with her baby #2, Stack was running out on her lunch break to stock up on essentials for her hospital bag as delivery was imminent. And when caught downladen with bags on a sweltering summer's day, rushing to get back to work, the mum-of-one thought to herself that there has got to be an easier way to do this. And with that, the idea for Hospitalbag.ie was born. ?The gorgeous Spots Navy design - the perfect gender neutral design, and great for life after birth! Could even be used to the man in your life!! Swipe left for more shots of the 3 different bags in the sets? 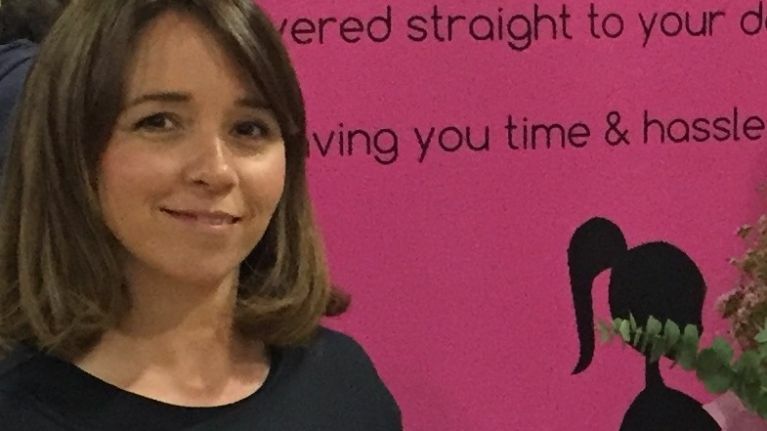 We recently caught up with Siobhan to chat building a business while also being a busy mum. How did you come up with the idea of Hospitalbag? Initially, the idea was prompted by my own experience four years ago while shopping for the contents of my hospital bag for baby number 2. I was working full time and with a one-year old at home, was very time-poor. So, when eight months pregnant, one lunchtime, I nipped out to a chemist in Tralee to pick up the items I needed. Leaving, I was laden down with two big carrier bags, waddling bag to work, and just figured; there must be an easier way to do this. 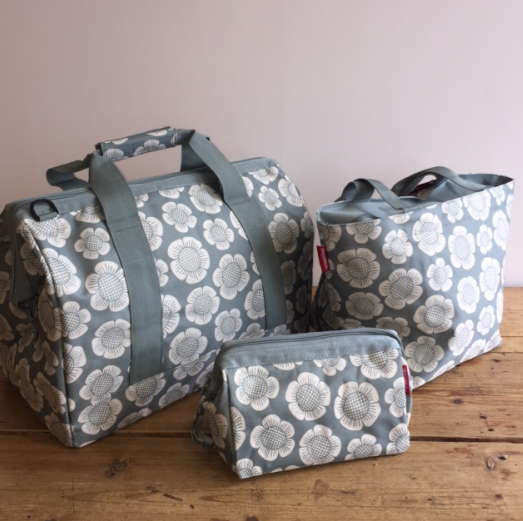 As well as that, my own mother had given me a set of matching bags when I was first pregnant and something in my brain triggered and the two ideas came together. And like that, the idea for hospitalbag.ie came about. What did you do before starting Hospitalbag? Having studied Actuarial Maths & Statistics in college and through a fairly circuitous route, I ultimately ended up in a variety of Compliance roles, initially in the insurance sector and more recently in the banking sector. Five years ago I moved to Kerry with my husband, having spent 18 years living and working in Dublin, and am currently on a career break from AIB. My parents were self-employed - they had a small local business - so I guess to some degree running my own business was somewhere in my DNA. But when you get on the treadmill of working life, throw in a celtic-tiger mortgage and children, it is really hard to get off that treadmill as, financially, you are tied. So, while I had the idea for this business four years ago, I wasn’t in a position to do anything about it, realistically, so just kept it on the backburner and hoped that an opportunity would present itself at some stage.
? "My bags are packed, I'm ready to go...". So handy that the Bloomy bags match our front door very well (Dulux Sweet Bluebird for anyone who's interested ?!). Love this design, perfectly gender neutral and proving as popular now in autumn (and hurtling fast towards winter ?) as it was in the summer! ? Going back to work after baby number 3, I soon felt that something needed to change. My job involved a lot of travelling and I found that my work/life balance was not there. I started saving what I could every month in the hope of, at some stage, being able to take a break from work. And I did…exactly a year after going back to work. I applied for, and am very grateful to have received, a one-year career break. This was in October last year, and those first couple of months whizzed by with Christmas looming. Then January hit and it was long. I realized that I needed to do something other than “be a mum” (my kids are currently 5, 4 and 2). So, I dug the business idea out of the back of my brain and decided to give it a go. It was at the end of January this year that I made the decision to try it out and was ready to start trading at the start of May, so just three months really to get it up and running. Getting time to research and design at the early stages was incredibly difficult. As I was at home during the day, I found I barely had time to have a coffee, never mind try to do all the things I needed to do to get the business up and running. So, I worked late into the night most nights. Even if I was in the sitting room on the pretence of having “quality time” with my husband, I was secretly looking up suppliers and packaging materials. I look back now and really wonder how I managed to do it at all, but I did. My husband was amazing and would take the kids away at weekends to give me the time and space I needed. Publicity and marketing was (and continues to be) another obvious challenge as I don’t have any investor or family member to help me out on this front, so the money I had been saving, most of which went on stock, is all I have. However, that whole world is now changing, with social media etc so not being able to pay large amounts of money for the more traditional-type advertising doesn’t necessarily put me at any huge disadvantage, it just means that I need to be smarter about how I get my name and brand out there. I am really pleased with how it is going! It’s not going to pay the mortgage any time soon but it is growing and what I am finding is that most of my business now is as a result of word-of-mouth from existing customers, which is brilliant. My aim is for it to be successful enough, monetarily, to enable me stay at home and continue to do this for the foreseeable future. 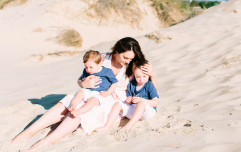 What is it like running a business when you are a busy mum? It is challenging, there’s no denying that, as my children as still so young. You need to have energy and be organized. I find, with social media and the instant gratification nature of it, you need to be very responsive if queries come in. And most queries come in at evening time, when people are sitting down themselves on their couches and start scrolling through the social media feeds or looking up items of interest to them. I have an obsession with good customer service and it is extremely important to me to ensure I get back to every single query and do so in as timely a manner as it is possible to do so. And that can be challenging. Particularly if, after putting the kids to bed (to be fair, my husband helps with this! ), I come back downstairs and see messages or queries etc, and I can’t help responding to them. All of that said…it has been the best thing ever for me, emotionally, as I felt I needed something else outside of the family. And honestly, it doesn’t matter how physically tired I am feeling at the end of the day, whether it is packing up orders in the garage or responding to queries, I get energized by the business and love the feeling it gives me. Highs and lows so far? First sale and every sale since are highs, for sure. My phone has a special ping when a sale comes through and, honestly, my heart lifts every single time I hear it. I love being able to take part in making life easier for mums, so getting feedback from customers who have been thrilled with their packages -is amazing – then I feel that I am doing my job properly and I get massive satisfaction out of this. As for lows, about a week before launch, having most of my stock purchased and the majority of my savings spent, I had an awful feeling that it was the worst business idea ever. I just really doubted myself for a few days and felt very low. I think now it was just last minute panicking, to be honest. Have you any more plans for the company? I have recently launched a “Bumpulations Box” which is a pregnancy congrats box and includes a “Baby Brewing” mug, “Bump on Board” car sign, pregnancy journal and tummy butter for stretch marks. So, I might further enhance the pregnancy congrats range. However, I am conscious of sticking to my original proposition and not veering too much off course and getting confused or giving customer confusing messages about what hospitalbag.ie is about so, really, beyond this, my main focus now is to try and increase my level of sales. Why do you think it is brilliant for mums-to-be to be able to avail of your service? I think it is great for busy mums-to-be particularly to be able to delegate most of the task of packing their hospital bag to someone else. Most people I know (myself included) keep putting off packing their hospital bag until as long as they can. My products aim to take the hassle out of packing your hospital bag. Okay, so you will still have to pack the clothing items for both mum and baby but, if this is your second or subsequent baby, you will have those items at home anyway so hopefully it won’t be too arduous a task pulling them out again. And, in particular, I think all women love a gorgeous set of matching bags and the association that will be with them in years to come.